We're in love with the iPad Pro. 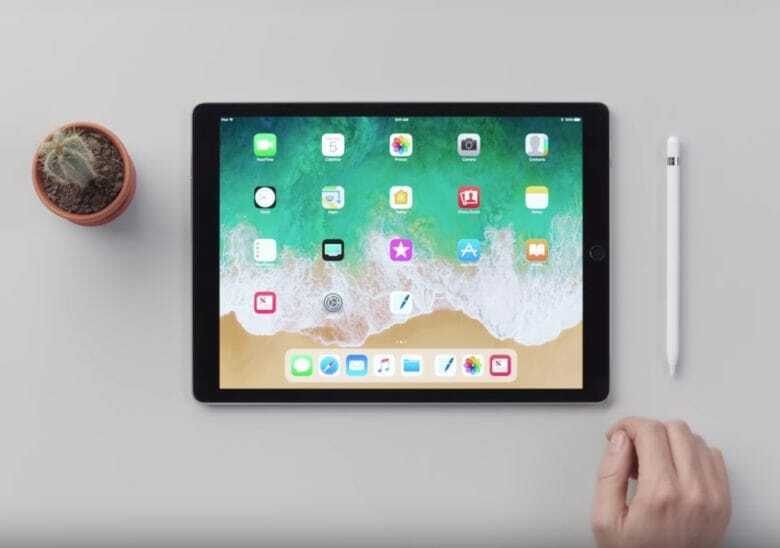 Tablet sales are still on the rise worldwide and based on a new report from the International Data Corporation, Apple’s iPad is one of the biggest reasons why. 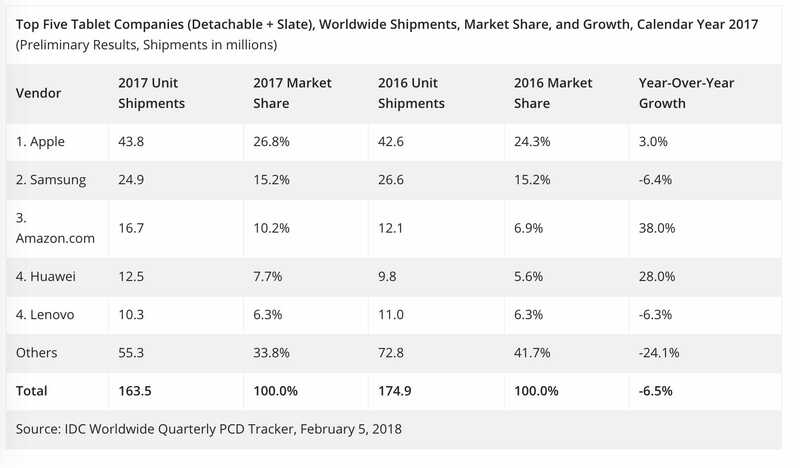 The IDC published its latest analysis of the tablet market today and according to the firm’s analysts, the detachable tablet market grew 10.3% this past holiday season compared to the year before and Apple was one of the only companies to see much growth. While Apple’s marketshare grew a meager 3% during the quarter of 2017, its biggest rival Samsung saw its share of the market drop 6.4%. Amazon had the strongest performance of all companies as its share grew a shocking 38%. Meanwhile, other tech companies like Microsoft failed to get new tablets out to capitalize on the holiday season. Apple dominates the tablet market. Even though Amazon gained a little ground, iPad still has a huge lead over all other products. With 43.8 million units shipped in 2017, Apple has more tablet sales than Samsung and Amazon combined. Thanks to the iPad Pro Apple is making more off each sale now too. During its earnings call last week Apple revealed that the average selling price on the iPad rose $22 in 2017 to a new high of $445. New iPads are reportedly on the horizon too. New units iPads could be revealed as soon as next month according to the latest rumors out of Asia.